Do you have high vet bills? Does it feel like you are always making an appointment, taking time off from work and stressing out your dog by keeping those appointments? I wrote Pet Health Tips because I was frustrated with the amount of money I was paying my vet. In 2013, I spent over $8000 on vet bills. Ok, so I admit I own 15 dogs and many of those are intact breeding males and females. Some of those expenses were for emergency C-sections, health screenings, and prenatal/postnatal care. But a whopping $3000 was spent on routine everyday problems the dogs had. I had to get those costs under control. By the end of 2015, my costs were down to 1/3 what I spent in 2013. Don’t get me wrong, I won’t skimp on my dog’s health, but it makes so much more sense to administer heartworm preventative than treat heartworm disease, as an example. 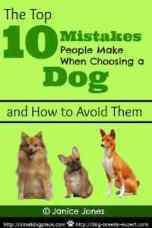 I began accumulating pet health tips from my veterinarian, dog breeders, books and the internet. Focus on the major causes of canine disease and prevent them from the beginning. Many ailments that dogs get can be avoided or lessened by good care. Veterinarians see dogs for a variety of reasons, but many of visits are routine problems that we could prevent with a little planning. 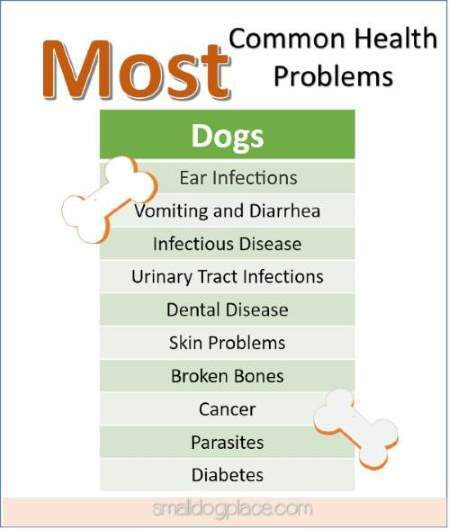 This article focuses on the first category--health problems that any dog could get. Some of these tips will sound familiar because you can use them to keep yourself healthy too. 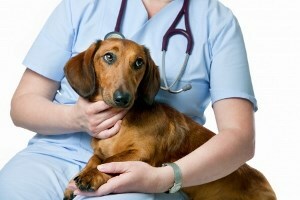 Take a look at the major problems in dog health that the veterinary profession is dealing with. We want them healthy, happy, and able to share our lives for as many years as possible. How do we keep them safe and healthy? There are 10 categories of pet health tips that I have identified (listed below). I hope your small dog can benefit from them too. When dogs and puppies, in particular, are not adequately supervised, they can get into all sorts of trouble. You’re probably thinking house training mistakes, chewed up furniture, and dug up rose gardens. But what we fail to anticipate is the puppy who becomes lethargic, stops eating and has loose stools and vomiting. What did he get into? There are so many things that a dog can ingest that is potentially lethal. If you don’t know where your dog is, you’d better find him. Puppy proofing a home is the first step. Keeping everything that can cause harm far from his radar is crucial. Supervision means much more than throwing out all your poisonous houseplants or allowing your puppy access to where the anti-freeze is stored. Management also means assuring that your adult dog or puppy does not have access to busy roads. Car accidents are entirely preventable through supervision and control. Training is critical and leads to the next topic. Training is not only meant to teach puppies and adult dogs how to live successfully in our homes and our society, but it is also intended to keep your dog safe. Teaching your dog to walk nicely on a leash, confining him or her to a securely fenced area and learning basic commands such as “wait” at the open door or “come” when called can prevent major catastrophes from happening. Another fundamental command, “leave it” will assure that your dog will not get into something that can potentially cause harm whether it is an object that could poison him to one that could cause an infectious disease, avoiding anything that could possibly send you to the vet is well worth the effort. 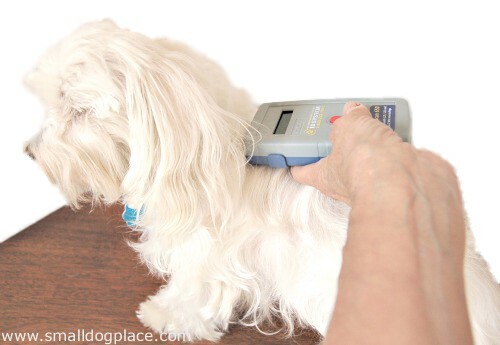 Who would think that grooming your dog could be considered to be a pet health tip? 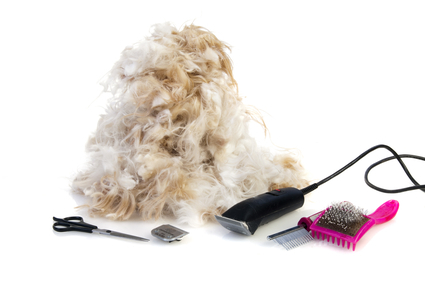 Consider what you do when you groom your dog: Bathing, Brushing, checking ears, eyes and teeth and clipping nails. Let's examine each one individually. When you bathe your dog, you are removing all the dirt from his coat, but you are also looking for potential external parasites such as fleas, ticks or mites. A bath will kill off fleas and alert you to remove pesky ticks. Any skin problems are clearly visible during bath time, and those issues should alert you to possible solutions. Plus, many dog shampoos can also soothe itchy skin, kill fleas, and treat mite infestations. When you check your dog's ears, you look (and smell) for potential infections. Stinky ears mean it is time to clean and find out what is at the root cause of the odor. Build up of hair and ear wax can lead to ear infections, but if you take care of both the hair and the wax, you won’t need to take your dog to the vet. Neglect either and you and your small dog will end up at your vet’s office. Here are two areas that deserve a great deal of attention. Obesity is not only a problem in the human population, but it is increasing problematic in our canine friends also. When the vet tells you that your dog needs to lose weight, they are advocating for your furbaby’s best interests. 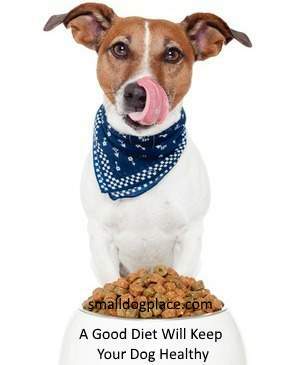 Losing weight is not easy for humans or dogs. Far better, it is easier to prevent weight gain than to treat it after those extra pounds have crept up on your favorite canine friend. Diet and exercise are probably the most important things you can do to save money at the vet and maintain your pet’s health. Exercise can take many forms from long leisurely strolls to brisk walks, to active play in the backyard or at your home. Make sure your small dog is getting some daily exercise. 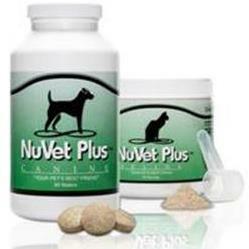 Diet is a critical element when it comes to pet health. Whether you choose to feed your dog a homemade diet or a commercially prepared food, providing the best food you can afford will save you so much in the long run. Cheap foods such as those purchased at the supermarket do not always contain the necessary ingredients that your dog needs. Some of those ingredients can also be dangerous and lead to health problems such as allergies and gastrointestinal problems. Do your research and find food that offers optimal health benefits and all the necessary vitamins and minerals a dog needs for good health. Everyday dental care is so important, not only for people but also dogs. Acclimate your puppy to tooth brushing from an early age so they will avoid costly dental procedures in the future. Start off right with a puppy toothbrush and a canine toothpaste. Never use human toothpaste on a dog. Tarter accumulates faster than you can imagine, so start early and make teeth cleaning part of your routine. Teeth are so important for health, not only for humans but canines too. 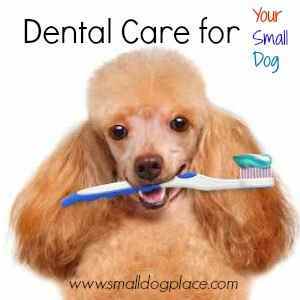 Establish a routine for teeth cleaning and you are likely to save big $$$ at your vets. Remember if a dog needs to have professional teeth cleaning, they will probably need general anesthesia. Some breeds can withstand cold better than hot temperatures. The reverse is also true for some breeds, but the not dog is safe when temperatures soar or drop below the freezing point. Even dogs that are normally OK outside should be brought in when the temperature drops. Dogs can get frostbite just like people. Summertime highs can be just as dangerous and heat stroke is common especially in breeds with thick double coats and brachycephalic breeds. Air-conditioning is recommended and plenty of fresh cold water. Hot cars are also a killer of dogs, so never plan to take your dog with you if you must leave them in the car. 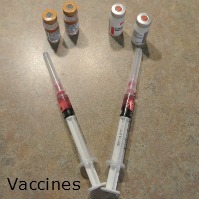 Vaccines have saved many people and dogs from deadly diseases and so it is recommended that a puppy gets all of his shots and boosters at a year old. There is debate as to how often dogs need booster shots past puppyhood. Follow your vet’s advice or if you prefer to withhold vaccines, do insist on checking titers to be sure your dog is protected. If you want to protect your dog entirely, keep them away from places where large numbers of dogs are likely to be. This advice is good, but impractical because we all need to take our dog to the vet and possibly groomer. Your dog may also attend daycare, boarding facilities, training, classes or enjoy a romp at a dog park. Dog shows and other neighborhood events involving dogs are potential sources of germs. To be safe, keep your dog’s shots and wormings up to date, clean up after your dog, and assure that he does not eat or get into anything that could cause harm. 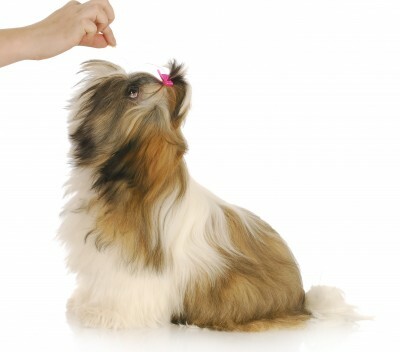 If you are grooming your dog on a regular basis, you are no doubt checking his ears, eyes and skin for problems. Fleas and Ticks are easy to spot and treat if caught early. Excessive ear wax, redness or swelling in the ear should receive prompt attention. Unusual growths, patches of skin with hair loss, scratching, scooting, head shaking or lethargy can mean something is wrong. If your dog is just not acting like himself, it could mean he’s sick. It is always better and cheaper, in the long run, to treat a health problem before it gets too bad. Play reduces stress. Not only is play a good way to relieve stress, but playful behavior also provides exercise and reduce some of that energy that many highly active breeds have in abundance. It is good for you too. If dogs do not have a way of relieving some of their pent up energy, they are likely to find a way that will go contrary to your idea of a well-behaved dog. 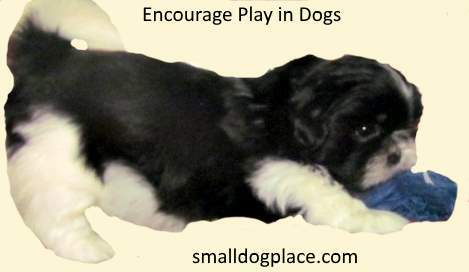 Remember that play provides dogs (and our) physical exercise, mental stimulation, and emotional well-being. Play can be as simple as a game of fetch, or a romp in the yard. For more vigorous, playful activity, a run or walk may be all that is needed. Canine treadmills are an excellent outlet for active dogs that need more exercise than their owners can accommodate. For even more play, you can always join in on a canine sport such as agility. Agility classes are usually available in most communities. You’ve no doubt heard the old advice, “If you fail to plan, you plan to fail.” No one likes to think about possible catastrophic events or possible emergency situations that put your dog at risk. But to be safe, it is always better to be a little prepared should such an event occur. Keep a well stocked first aid kit. Consider making an emergency plan if you had to evacuate. Would you be able to leave with your dog and items he would need for the duration? An emergency plan is imperative and something everyone should have. If you also have pets, they should be part of your plan. What about an emergency where you had to shelter in place. Have you thought about how that might pan out with your dog included? Suppose your dog gets loose and runs off? How will you find him? Is he microchipped, tattooed or wearing an identification collar? If your dog gets sick or hurt in the middle of the night, do you know where the closest emergency veterinary hospital is located? Most local vets do not have extended hours, so knowing somewhere to call could mean the difference between life and death. If your dog got into something that could be poisonous, would you know what to do? Keep your vet’s phone number handy and also the poison control hot-line. If you think your pet may have ingested a potentially poisonous substance, call (888) 426-4435. Will you have enough money to cover costly vet bills if your dog is diagnosed with a major health issue? Have you considered health insurance for your dog? Health insurance varies widely and can include all the routine as well as catastrophic care. The more costly the plan, the more vet bills it will cover. Consider your finances and if health insurance makes sense, search out the plan that works best for you. The best thing about insurance for your dog is that it gives you peace of mind, knowing you won’t have to deny care to your friend because there isn’t money in the budget to cover it.